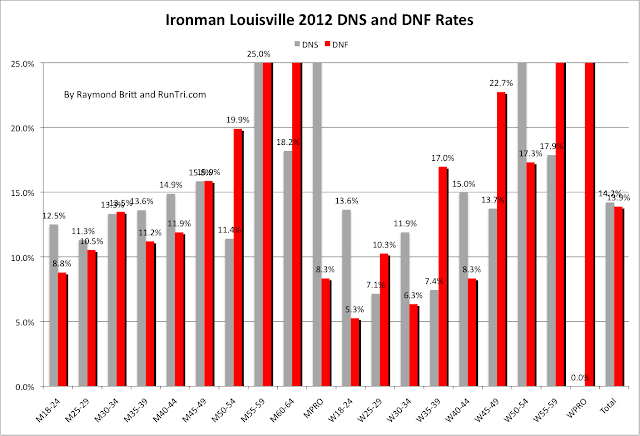 The 2227 finishers of 2012 Ironman Louisville appear to have tackled the harshest conditions of the last four years, with a 14% DNS rate, an incredibly high 14% DNF rate, and the highest average time since 2009: 13:41. If the conditions in the 2010 race were considered highly extreme, 2012 may have even been worse (though an extraordinarily high number of flat tires may have been caused by course sabotage). 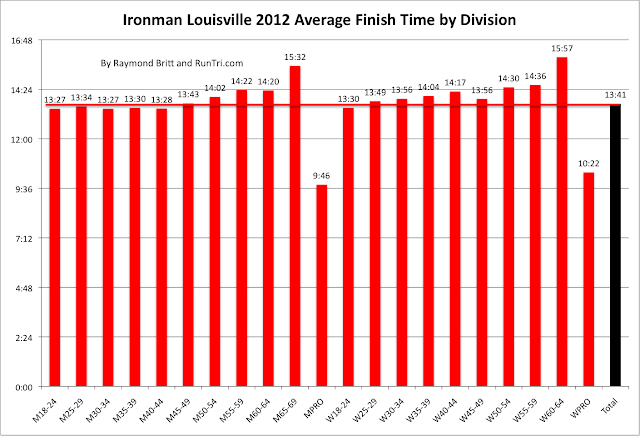 Still, Ironman Louisville remains ranked near the top of our Toughest Ironman Triathlon ratings. 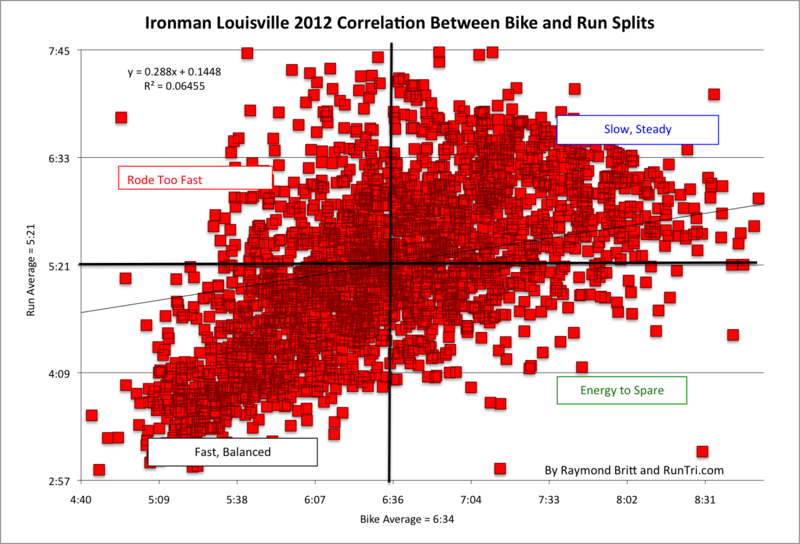 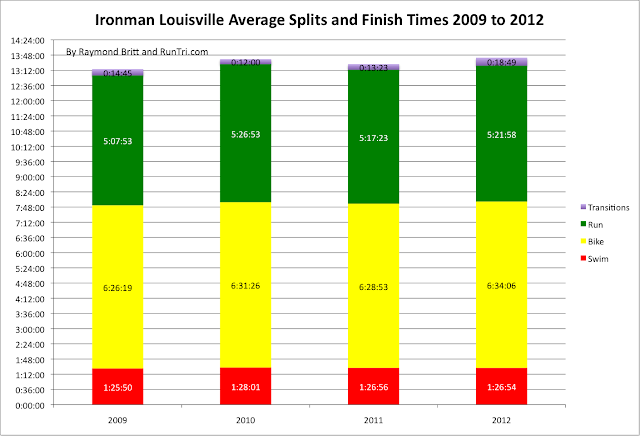 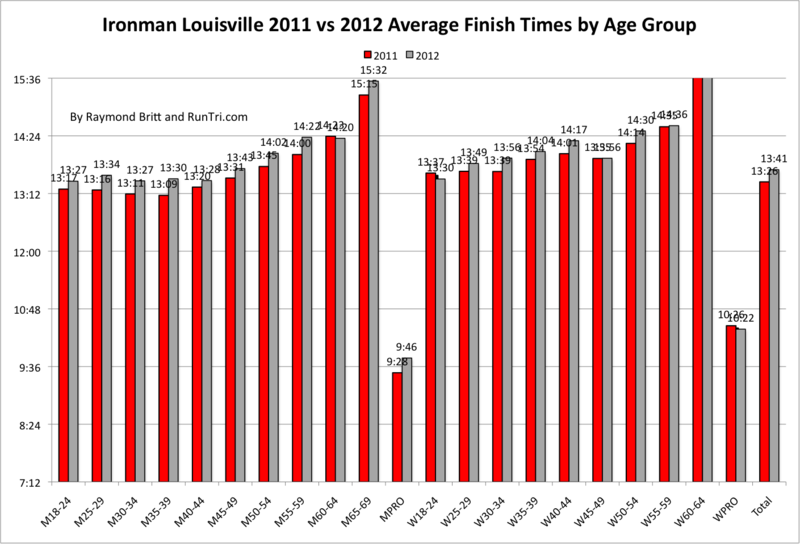 See our detailed analysis below, and also see our Ironman Louisville 2011 Results Analysis for more data on 2009 to 2011. 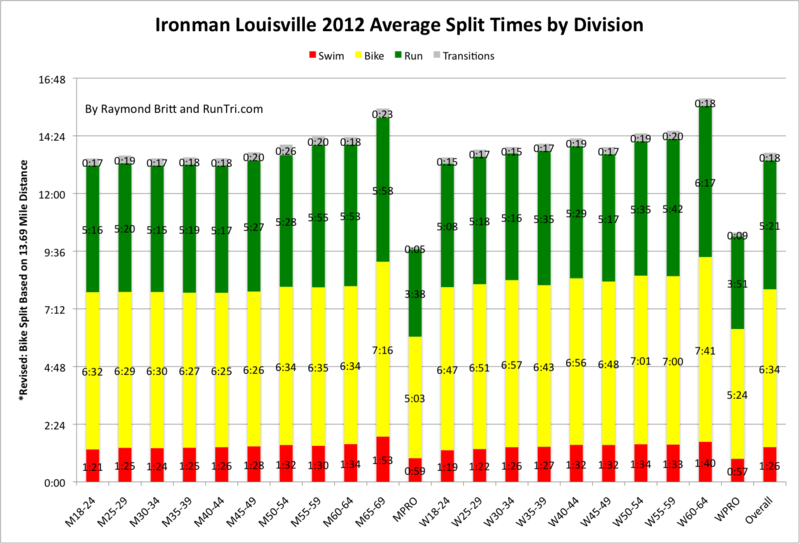 To see how Ironman Louisville compares with worldwide Ironman events, see our Comprehensive Stats/Results/Analysis page, with more than 200 statistical and analytical articles. 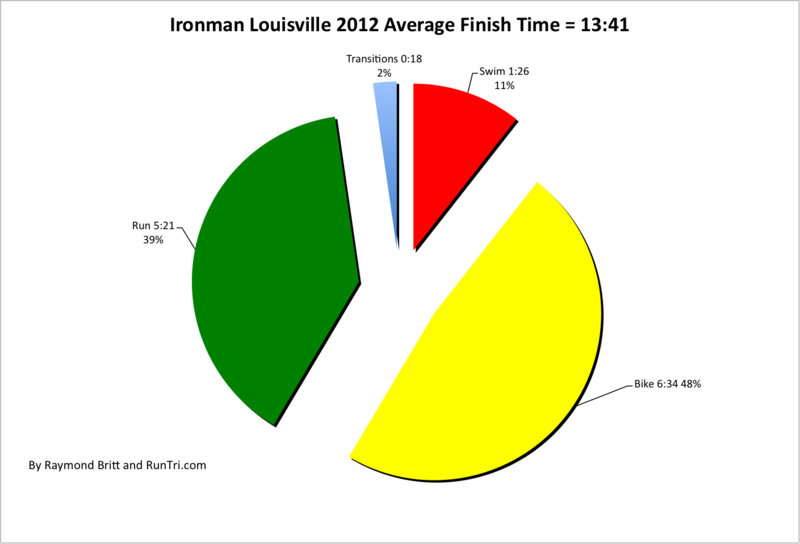 For everything else, visit our Home Page/Site Map.